Sunrise Resorts offers 11 beautiful RV Resorts in premiere RV destination locations spanning from Alaska to Arizona. Whether you prefer a desert snowbird oasis, the beauty of the Pacific Northwest, or the last frontier and the great fishing of Alaska; Sunrise Resorts has the perfect space for you. 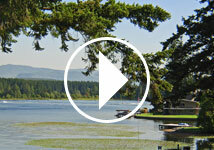 Sunrise Resorts offers fun, friendly, and well maintained RV sites. No RV? No problem! With the same comforts of home you can stay in one of our many vacation rentals. Our guests enjoy our swimming pools, hot tubs, clubhouses, laundry facilities, showers, playgrounds, and much, much more! We are committed to providing you a relaxing and carefree visit. 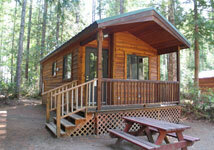 You will agree that Sunrise Resorts is truly a great RV getaway with all the comforts of home. So whether you RV full-time, enjoy fun-filled family vacations, or just want a great place to escape to for the weekend, Sunrise Resorts has exactly what you are looking for. And remember, it’s not how far you go; it’s how far you get away!